Partners Ben Quarmby, Robert Kry, and Martin Totaro have been named 'Rising Stars' by Super Lawyers. To be eligible for this prestigious distinction, a lawyer must be either 40 years old or younger or in practice 10 years or less. Super Lawyers evaluates nominees using a patented process evaluating 12 indicators of peer recognition and professional achievement. No more that 2.5 percent of the lawyers in a state are named 'Rising Stars'. 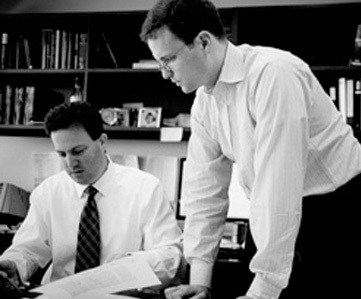 ML partners Justin Shur, Tom Wiegand, Jeffrey Lamken, and Steven Molo also have been recognized by Super Lawyers. Read Ben Quarmby's bio here. Read Robert Kry's bio here. Read Martin Totaro's bio here. Learn more about Super Lawyers here.